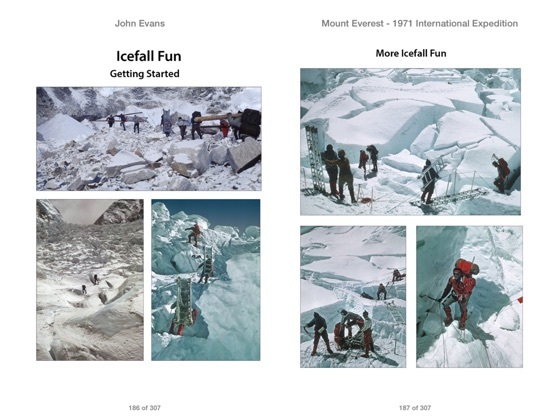 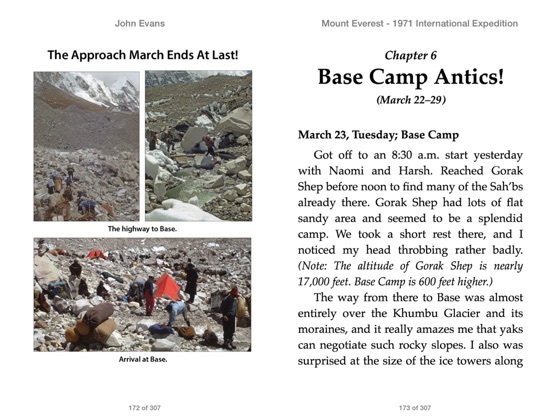 The handful of Everest expeditions prior to 1971 had all been nationalistic affairs, with the Nepalese government granting climbing permits through the chief national mountaineering organization of various countries. 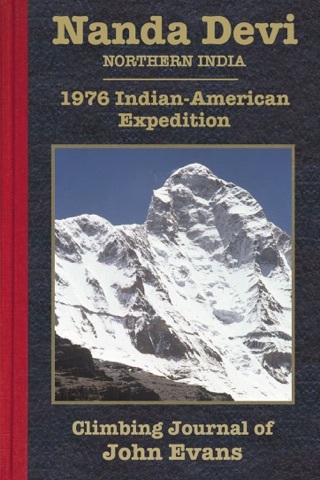 As per its name, the 1971 International Himalayan Expedition (IHE) was unambiguously multi-national, conceived at least in part to demonstrate that nationalistic rivalries could be amicably transcended by the cooperation required in the climbing of Everest. 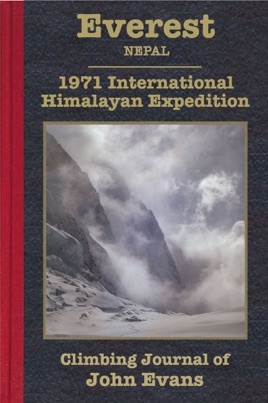 This conception was the brain child of Swiss-American Norman Dyrenfurth, who had already secured a distinguished legacy as leader of the highly successful 1963 American Everest Expedition, and hoped to up the ante by not only the international perspective, but also by attempting two new technical routes on the mountain. 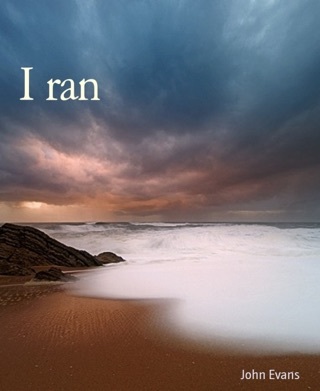 Unfavorable weather and strong ego drives thwarted both these objectives-the ego drives being at least as much personal as nationalistic. 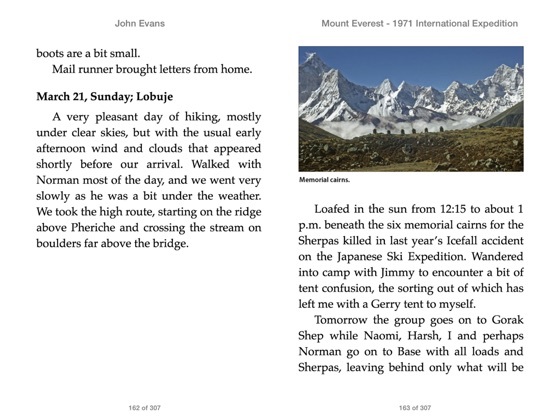 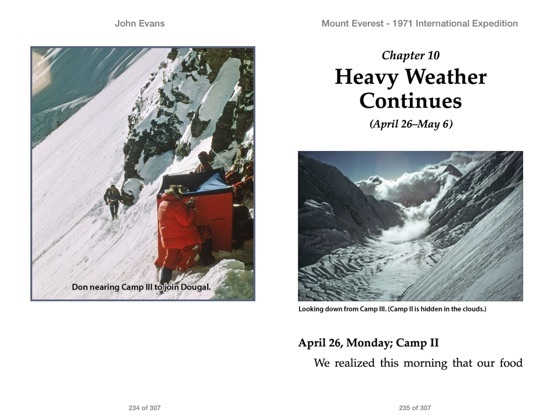 This journal begins with an account of the writer's week-long journey by truck across India-bringing the expedition equipment to Kathmandu from the docks in Bombay.